All product from the Kareem Abdul-Jabbar Collection is available to purchase now, just in time for the holiday shopping season. Kareem Abdul-Jabbar Collection. 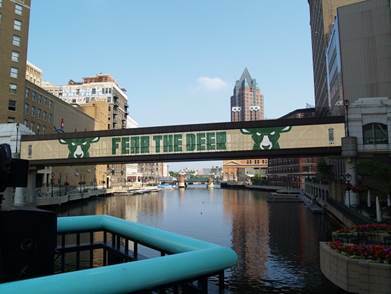 Photo courtesy of the Milwaukee Bucks. MILWAUKEE (Dec. 7, 2018) – The Milwaukee Bucks and Mitchell & Ness today launched the Kareem Abdul-Jabbar Collection, available at all Bucks Pro Shop locations, online and at Name of the Game locations in Milwaukee. The Kareem Abdul-Jabbar Collection, available now to purchase, incorporates the Bucks’ first logo and Abdul-Jabbar’s iconic goggles that became synonymous with his Hall of Fame career. The Kareem Abdul-Jabbar Collection celebrates the exciting early era of Bucks basketball, including the 1971 NBA Championship team led by Abdul-Jabbar and marries the early nostalgic feel of a budding Bucks franchise with Mitchell & Ness’ premium aesthetic. The collection includes men’s and women’s t-shirts, sweatshirts, and headwear. 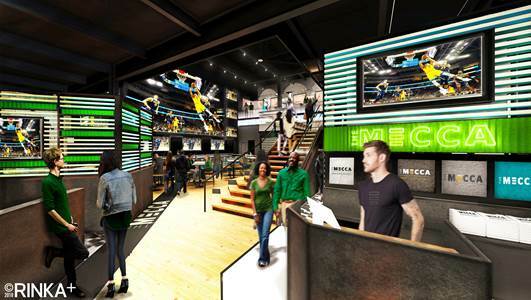 Fiserv Forum Bucks Pro Shop locations and shop.bucks.com will also have a team exclusive, limited edition collectors pin featuring elements of the collection. All product from the Kareem Abdul-Jabbar Collection is available to purchase now, just in time for the holiday shopping season. The Bucks Pro Shop inside Fiserv Forum has extended holiday hours on Monday through Friday from 10 a.m. – 7 p.m. and on Saturday and Sunday from 11 a.m. – 7 p.m. Merchandise can also be purchased at shop.bucks.com and at Milwaukee Name of the Game locations.